· University of Banja Luka and ICBL (Banja Luka Innovation Center) – 90 km away. Employment requires concluding of a work contract which regulates rights, obligations, and responsibilities of employer and worker. General conditions for employment by concluding a work contract between employer and worker are regulated by the Law on Labor (Official Gazette of the Republic of Srpska, no. 01/16 and 66/18 ). Special requirements for employment are established for each individual workplace and set forth by the General Collective Agreement and Work Rulebook. Form and contents of work contract are set forth by Article 35 of the Law on Labor and Rulebook on Work Contract Forms (Official Gazette of the Republic of Srpska, no. 18/16). More details about legal regulations governing this field are available at the internet site of the Ministry of Labor and Veterans. A worker working full-time is entitled to a 30-minute break during working hours. A worker is entitled to a minimum of 12 hours of continuous daily rest between two consecutive working days, and workers working in agriculture and on seasonal tasks to a minimum of 10 hours. A worker is entitled to a weekly rest of minimum 32 hours continuously. A worker with a minimum of six months of uninterrupted work history is entitled to an annual vacation of a minimum of 20 working days. Details about vacations are set forth by Articles 75 to 95 of the Law on Labor (Official Gazette of the Republic of Srpska, no. 01/16 and 66/18). Workers are also entitled to paid leave of minimum 5 working days per the calendar year in cases set forth by Article 89 of the Law on Labor, and unpaid leave of up to three days per the calendar year in accordance with Article 92 of the Law on Labor. Work contract may be terminated for a variety of reasons, in accordance with Article 175 of the Law on Labor(Official Gazette of the Republic of Srpska, no. 01/16). Termination of employment is specified in further detail by Articles 175 to 197 of the Law on Labor (Official Gazette of the Republic of Srpska, no. 01/16). · The worker does not wish to continue working for the employer. The pension and disability insurance system of the Republic of Srpska is organized in accordance with the principle of intergenerational solidarity and falls among the systems usually designated as PAYG systems. The existing pension and disability insurance system essentially operates by contributions earmarked from employee earnings and then used to finance pension and disability insurance entitlements. The Law on Pension and Disability Insurance (Official Gazette of the RS, nos. 134/11, 82/13 and 103/15) institutes the obligatory pension and disability insurance and governs the rights and obligations arising from that insurance. Also, the law provides for a possibility for persons not covered by the mandatory insurance, to take the voluntary pension and disability insurance. The insured risks within the meaning of the Law are old age, disability, and death of the insured party or beneficiary of entitlements. Subject to an occurrence of an insured risk, entitlements arising from pension and disability insurance are the following: for old age – old age pension, for disability – disability pension and entitlements arising from the remaining work fitness, for the death of the insured party or beneficiary of a personal pension – family pension. Requirements for obtaining those rights are set forth by the Law. The Pension and Disability Insurance Fund, engaged in the activity of particular social interest, was established to facilitate the exercise of rights arising from pension and disability insurance and based on identified needs and interests in the field of this insurance. The Fund was established and has been operational for the purpose of the exercise of rights arising from pension and disability insurance for the territory of the Republic of Srpska. The web page of the Fund is posted news in the field of pension and disability insurance and includes also answers to various questions from this field. · Rulebook on the procedure of establishment of workplaces with insurance period calculated in increased duration (Official Gazette of the Republic of Srpska, no. 57/13 and 45/14). For pension and disability insurance system, large importance lies also with the international agreements on social insurance concluded between Bosnia and Herzegovina and other countries in order to regulate mutual rights and obligations in this field. Bosnia and Herzegovina have concluded and ratified bilateral agreements with Austria, Croatia, FR Yugoslavia, Turkey, Macedonia, Slovenia, Belgium, Hungary, and Luxembourg. Negotiations on the conclusion of social insurance agreements are underway with Montenegro, Canada, Australia, the Netherlands, Switzerland, Czech Republic, and Germany. The conclusion of social insurance agreements has been initiated, and procedures are currently in different stages, with the following countries: Republic of France, New Zealand, Sweden, Denmark, Italy, Greece, United Arab Emirates, Bulgaria, Moldova, Romania, Norway, and India. Pursuant to the Vienna Convention on Succession of States, the successor states of the former SFRY must, among other things, undertake and fulfill the tasks of the former federal state set forth in the social insurance agreements valid or in the application at the time of its dissolution. These concern the following states: Bulgaria, Czech Republic, Denmark, France, Italy, the Netherlands, Norway, Poland, Romania (health only), Germany, Sweden, Switzerland, Great Britain, and Egypt (reciprocal pension payments). Compulsory health insurance covers all citizens of the RS and other persons in accordance with the Law on Health Insurance (RS Official Gazette, no. 18/99, 51/01, 70/01, 51/03, 57/03, 17/08, 01/09, 106/09). Foreign citizens employed in the Republic of Srpska should register for health insurance with the RS Tax Administration. A person from a country signatory of a social insurance agreement with BiH may exercise health protection in the manner set forth by the signed agreement. More information about health insurance in the Republic of Srpska is available at the internet address http://www.zdravstvo-srpske.org/. Safety and health at work are provided and implemented by each legal and natural person employing one or more workers. The employed person/worker exercises safety and health at work in accordance with the Law on Safety at Work (Official Gazette of the Republic of Srpska, nos. 1/08 and 13/10) and bylaws in the field of safety and health at work. After starting operation in the field of its prevailing activity, each employer must obtain a Decision on Requirements Fulfillment in the Field of Safety and Health at Work from the Ministry of Labor and Veterans, although differences in documentation to be filed exist between the employers with 10 or fewer workers and those with more than 10 workers. Regardless of the number of workers, the fee for the filing of a request for obtaining the decision on requirements fulfillment amounts to BAM 10. Each employer must assess the risks at the workplace and in the work environment for the employed workers, and the assessment should be performed by licensed institutions holding a license of the Ministry of Labor and Veterans. For more information in this field, please visit the site of the Ministry of Labor and Veterans (field of safety at work). Besides general conditions set forth by the law and conditions set forth by the collective agreement and employers’ general acts, a foreigner must also comply with a special requirement concerning work permit issued by the Republic of Srpska Employment Bureau. Work permit required for the conclusion of a work contract with a foreigner is issued by a branch of the Employment Bureau with territorial jurisdiction over headquarters of the employer, upon their request. The issue of work permit is regulated by the Law on Employment of Foreigners and Stateless Persons (RS Off. Gazette no. 24/09 and 117/11). Foreigners approved permanent stay in BiH, foreigners approved international protection in BiH, and foreigners approved temporary protection are entitled to work in the Republic of Srpska under the same conditions as its citizens, without obligation to obtain a work permit. Bureau branch may not issue a work permit if unemployment records of the bureau with territorial jurisdiction over employer’s headquarters include registration of an unemployed person with adequate qualification who fulfills the set requirements, except in cases when the registered unemployed person entered in the records refuses employment in the sought field. Exceptionally, Bureau branch shall issue a work permit to a foreign investor or founder of a company with headquarters in the Republic, regardless of whether the unemployment records include persons who meet the requirements set forth in the application for issue of work permit. · The short period of processing. · Certified copy of passport. 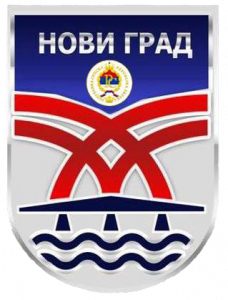 Apart from work permit, a foreigner working in the Republic of Srpska must also be issued a residence permit. The issue of residence permit has legal grounds in the Law on Aliens (BiH Official Gazette, no. 88/15).